All components from 3dprintronics are pre tested for there proper functionality. In case there is any defect in the component please get in touch with us within 3 days of the purchase and we will provide you with a satisfactory solution. 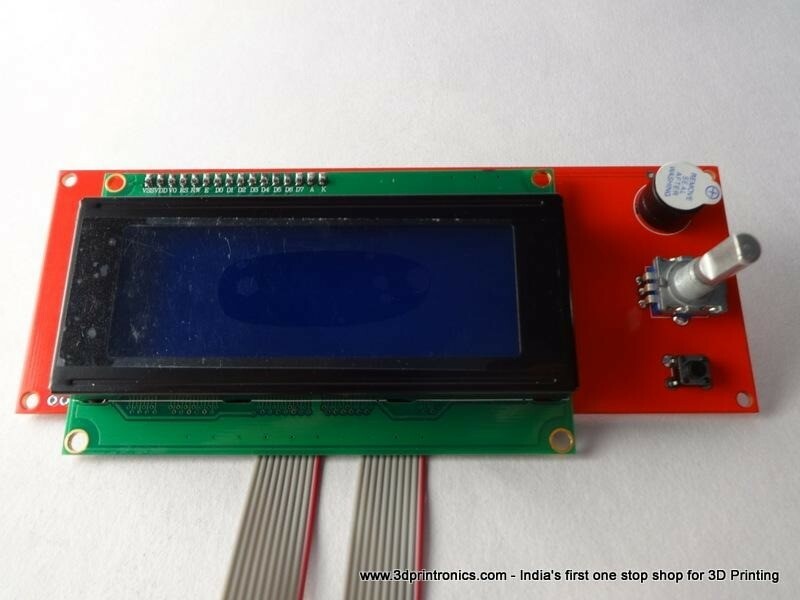 This is a 20 x 04 character supported LCD controller which is used to controll your RepRap or any other 3D Printer independent of a computer. It has an integrated SD card reader for standalone printing support. Also, this LCD controller has an 'emergency stop switch', which is not available in any other controller. 02 x 30cm 4 wire connecters. Manufacturers of Prusa i3 Mk2s & Prusa i3 Mk3 3D Printers in India using original components, 3DPrintronics – India’s One Stop Maker Shop, is fueling the DIY & Maker revolution in India. Our Prusa i3 printers are built using same components and provide same print quality as the Original Prusa i3 Mk3 3D Printers. Our X Carve DIY Carving machines & components like precision linear rails, lead screws, NEMA 17, NEMA 23 stepper motors & high quality fasteners have empowered hundreds of makers to innovate and invent. Custom cut V-Slot, T-Slot aluminum extrusions & related accessories like T nuts, brackets etc infuse life into frame designs, linear motion projects, 3d printers, desktop router machines & much more. Being makers ourselves, we take pride in saying that all components on our store have been thoroughly used & tested by us. Thus, you get the best components, in superb packaging & prompt support, so that you can make in peace!! Worked perfectly out of the box. The inductive sensor based auto-leveling is super awesome. Great support from 3DPrintronics too. We work on an online only model. However, we are open to visits upon prior appointment.